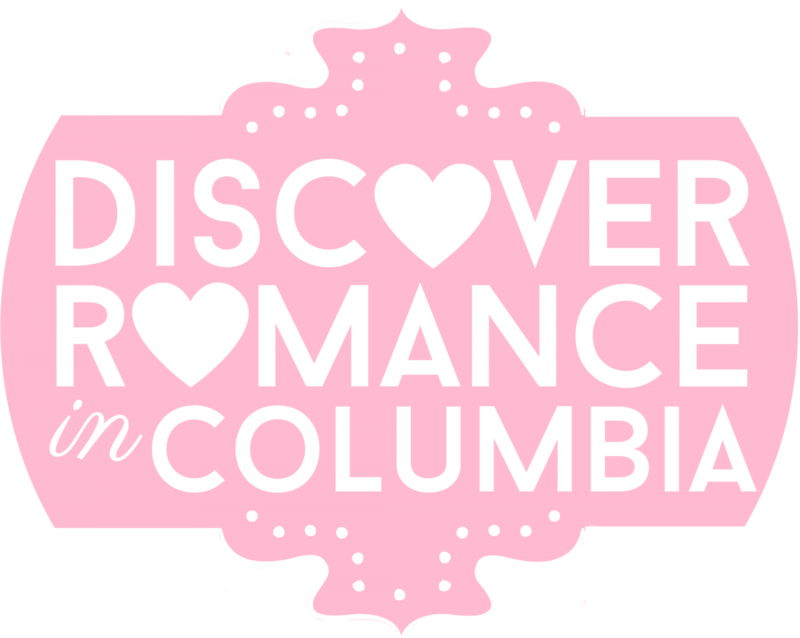 Discover Romance in Columbia! – Fresh ideas for fun, interesting, exciting and unique ways to spend time together! It’s blueberry season at last, and time to get pickin’! You and your sweet one will love gathering blueberries at select local U-Pick farms in Columbia, like Southern Blues Blueberry Farm and Double A Farms. As delicious as these indigo-colored gems can be from the store, they’re even better when picked fresh from a local grower! If the two of you love being outdoors, check out the SC Dept. of Agriculture’s information site! There you will find lists of agricultural services like where to buy Certified South Carolina Grown, where to Buy Local, State Farmers Markets, and more on their Agritourism Program, which promotes agriculture-based tourism throughout South Carolina. More here. Hanging out at Catitude Cat Cafe is the Purr-fect way for you and your S.O. to spend the day together! Catitude, Columbia’s very first feline cafe, features coffee, wine and beer in addition to some of the cutest fur babies you’ve ever seen – and they’re all available to adopt! You’ll have a great time, and perhaps even be Purr-suaded to take one home with you! More here. Quaker Steak & Lube is a motor-themed restaurant that includes everything you need for an enjoyable date – premium eats, including some of the finest wings around, delightful beverages like Leaded Lube-n-ade and Lube-A-Ritas, and plenty of fun and games! Challenge each other to a game of Cosmic Bowling, try out the latest arcade games, or enjoy live entertainment during Happy Hour on the Patio! More here. Painting With A Twist periodically offers Couples’ Art classes, where you and your Boo will have a great time creating, as you discover your inner artists! Adults aged 21 and up can make a reservation for one of their classes, bring their favorite beverage to sip, and paint along with an art instructor who will guide you through the project step-by-step. By the end of the evening, you’ll each have your own piece of artwork to take home as a souvenir of your great date! More here. Witness a Natural Phenomenon Together! It’s Purple Martin season at Lake Murray! Let Zach Steinhauser, Wildlife Specialist at Wingard’s Market, take you out on Lake Murray to view these fascinating birds. From late June to late August, hundreds of thousands of these small birds make their way to roost on Bomb Island. Enjoy a relaxing cruise and see them up close! Take a trip to Old McCaskill’s and see firsthand what life is like on the farm! Take in the fresh air, visit with the goats, cows, horse, pigs, chickens and dogs that call this place home, then get her a gift from the Farm Store! If you go on a Friday, the two of you can enjoy Lunch on the Farm, a delicious, homemade, farm-to-table meal that starts at 11:30am. More here. Make Some Memories on Lake Murray! Take your special someone for a tour on the Spirit of Lake Murray, and let Cupid be your Captain! Lake Murray’s only dinner cruise yacht includes an on-board bar, climate-controlled cabins, outdoor observation decks, and large windows offering panoramic views of the sparkling waters. Book here. Volunteering together and making a difference in our community can be a memorable experience that you’ll both feel great about! Here are some ways to help: Serve hungry people at Harvest Hope Food Bank’s Emergency Food Pantries; volunteer to help run the concession stand at Colonial Life Arena during the USC Gamecocks Basketball Season; give your time at a local animal shelter, like PETSinc in West Columbia, and help with everything from walking dogs, to keeping the grounds beautiful, to socializing the cats and dogs in the shelter. More here. Strolling arm in arm with your beloved on a beautiful day…the Midlands are full of scenic trails and beautiful parks in which to do just that. The Columbia Canal and Riverfront Park is a favorite path for casual walks, with its easy, paved trail and views of the river’s natural beauty, and benches to stop and take it all in. Saluda Shoals Park, on the Saluda River, provides a relaxing set of paved and unpaved walkways through wooded areas, for a more remote feeling. In downtown Lexington, Virginia Hylton Park provides a shady walking path with charming covered gazebos, picnic tables, koi pond, and flower gardens. Pack a blanket and commune with nature at one of these great picnic spots: Sesquicentennial State Park, known to locals as “Sesqui,” is a natural getaway amongst pine trees and nature trails. The park features several hiking trails and a lake that’s the perfect backdrop for outdoor dining, as well as picnic shelters. Dreher Island State Park is home to a variety of wildlife and wildflowers around Lake Murray. The park is made up of three islands linked to the mainland. Picnic tables and shelters are available. Community Park of Irmo: Home of the famous Okra Strut Festival, this park features an amphitheater, picnic shelters with BBQ grills, walking trails and more. The park’s tall trees provide lots of shade, and make for a comfortable picnicking area. Pearlz Upstairz Lounge, located in the beautiful Congaree Vista, is a unique space that features live jazz and blues music from local and regional artists. Jazz bar serves popular hand crafted cocktails at its full service bar, and offers a carefully selected beer list. CMA Jazz on Main is a popular music program that offers a series of great jazz performances under the artistic direction of band leader Noel Freidline. Tickets are required. Since 2009, Chayz Lounge has hosted jazz and blues performers in a warm, relaxed atmosphere, at Nonnah’s in the Vista. You can even indulge in Nonnah’s delicious desserts before, during or after the show! Reservations are recommended.